The locksmith market can be competitive, so we are here to raise you above the crowd. There are six main areas you need to touch in order to rise in the search results. We outline them below on this page. If you’re an locksmith contractor, SEO services might not be highest on your list of priorities. Then again, without search engine optimization, almost no one will be able to find your business for the lock smithing services you offer. Studies show that the top five search results account for 67.6% of all clicks. If your locksmith business’ site achieves this kind of ranking, that means more website traffic, more qualified leads, and, ultimately, more clients for your locksmith practice. It’s also important to keep in mind that your competitor locksmith professionals are likely already investing in search engine optimization. This means that they are benefiting from the exposure that SEO brings them, and attracting local clients to their practices before these consumers ever know you exist. SEO might be your only chance to get in front of potential clients who turn to the Internet to research locksmith technicians in their area. Do you want to keep missing out? Even better, if your competition isn’t investing in SEO for their locksmith practices, you have a fantastic opportunity to get in front of them and attract more clients to your firm. You already know that your locksmith firm is the best one in the area — with a fantastic looking website and great SEO, you can prove it. SEO Digital Group has provided SEO services for locksmith firms in moderate to extremely competitive areas. Our system ensures best practices for on-page optimization, link building and local SEO for Google Maps. One of the most important steps in a proper SEO campaign is starting with a thorough analysis and audit. In this multi-step process, we look at your website’s online presence and compare it to a few of your top ranking competitor locksmith companies. Our team analyzes the following elements and we roll it into a video for you to watch, instead of emailing you a few dozen pages of technobabble to understand. Keywords are the foundation of a quality search marketing analysis and campaign. Find out which locksmith keyword terms are most searched by your customers and fine tune the content to match your service priorities. Our audit will reveal if you have too little or too many mentions of your target keyword throughout the page content. It is important to focus each page on a different topic or keyword. Links are the biggest differentiator among locksmith sites that rank well and those that do not. When it comes to link building, quality trumps quantity these days and one earns links for businesses better than SEO Digital Group. Our white-hat link-building services are at the forefront of the SEO industry. We offer our clients unique campaigns that generate links from the most authoritative websites in the industry, and we do it in a way that promotes authority, longevity and a top level reputation for your business. We use only white-hat, ethical link building strategies for our locksmith clients. Locksmith blog content should help answer questions which relate to the services you provide and people are searching. These blog posts support your main sales and service landing pages. 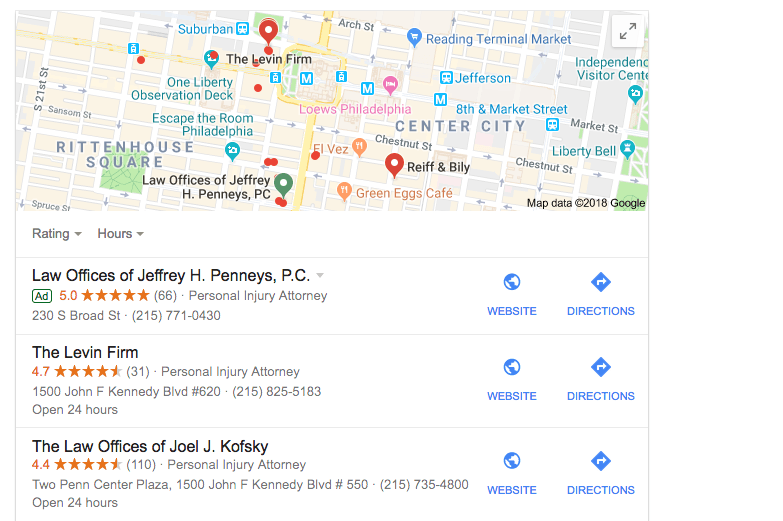 Proper Google Maps optimization for your locksmith contracting business will help earn you two spots on the first page of Google. We submit your firm’s business information and website to hundreds of the most authoritative local website directories. We use citation tools and manually build consistent citations across the Internet with your business name, address, phone number and website. We also implement other location-based SEO strategies, including local link-building, locksmith specific directories, local business address schema and location-specific keyword optimization. SEO reporting can be confusing and hard to understand. We use cutting-edge analytics platforms to provide you with accurate, up-to-date and easy to understand metrics about how your locksmith firm’s website is doing in the search results.